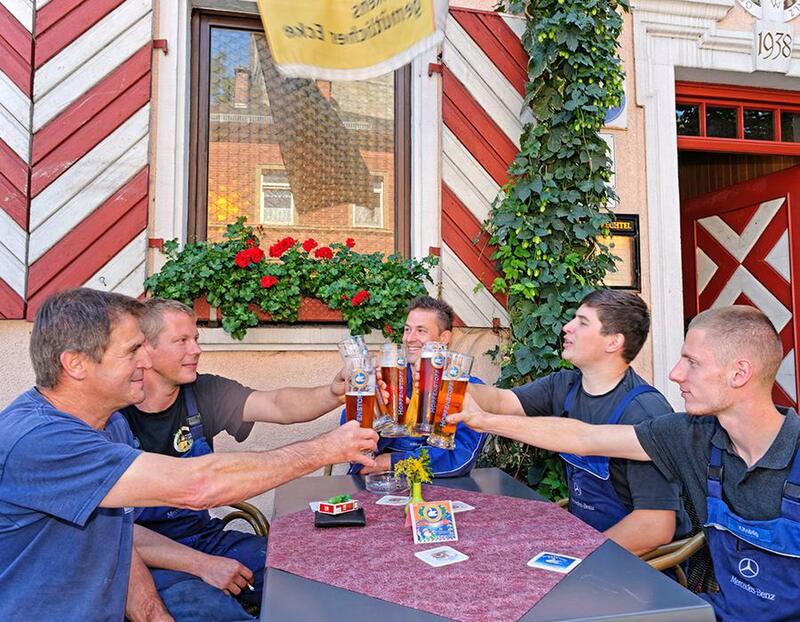 We are one of the few remaining typical Franconian microbreweries, of which the number is unfortunately, ever decreasing. You will find us in the center of Uehlfeld directly by the federal highway B 470 (across from the church). 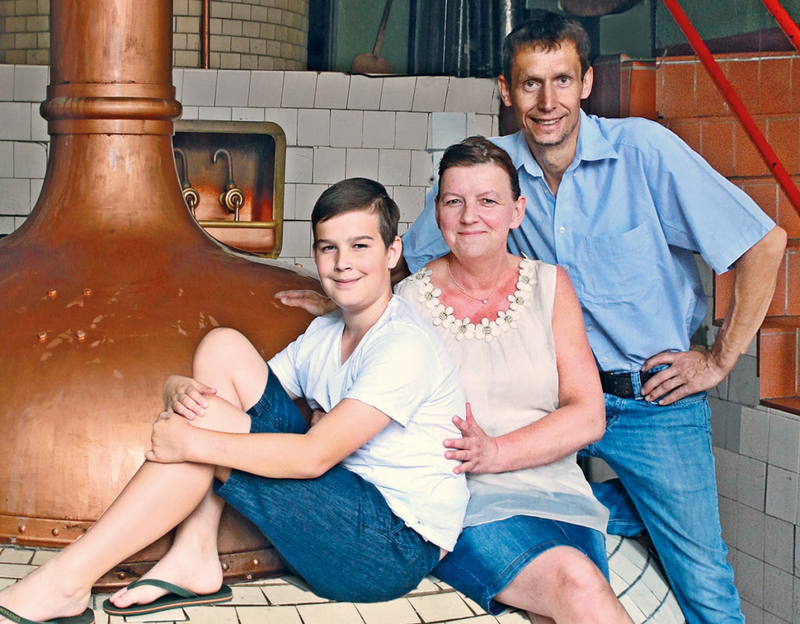 Our brewery has been owned by the Prechtel family for over 100 years and is a real classic in the entire Aischgrund region. 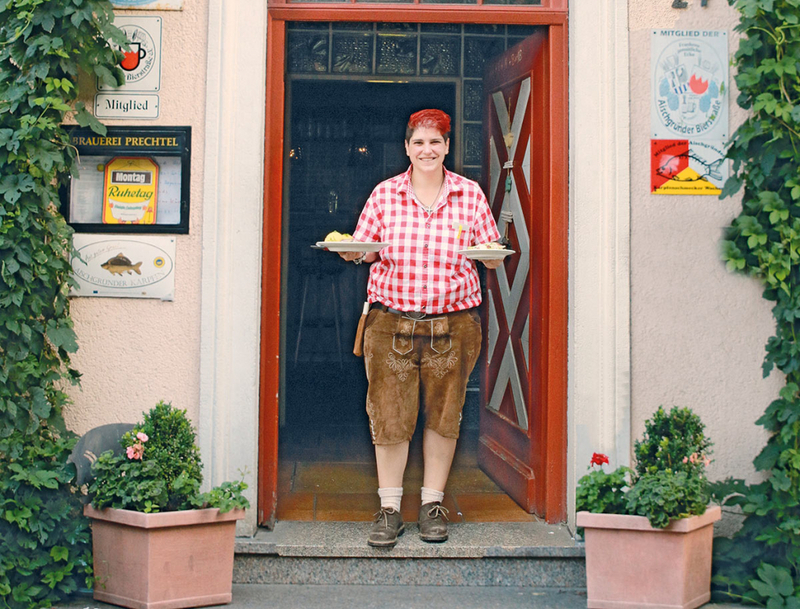 The hoteliers, Ulrike and Walter Prechtel, offer not only quaint, tasty beer, but also keep a wide range of culinary regional delicacies ready to serve their guests. As a firm foundation for our beer, our kitchen staff prepare good home-cooked dishes and satisfying appetizers using meat from very our own animals. Almost every Thursday we’ll serve Schlachtschüssel, a plate of various freshly prepared meat specialties made right after the slaughter. According to ancient tradition, the boiled pork belly is served starting at 9:30AM as part of the regular Brotzeit, a snack consisting of bread and cold cuts. Two hours later the blood-, liver- and Bratwurst (sausages) are served along with a pork knuckle and, of course, a Schäuferle (a Franconian specialty made of pork shoulder). In Aischgrund, carp season is between September and April. At Prechtel, the carp is fished from our own pond and prepared in various ways for your enjoyment. 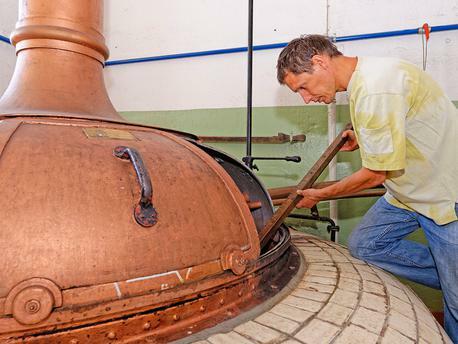 … Brewing is still intentionally done just as one would expect from old world craftsmanship. In the brew house, the agitators are still driven by transmission, the wort cooling is carried out in a traditional cooler, and the fermentation is still done in open fermentation vats. 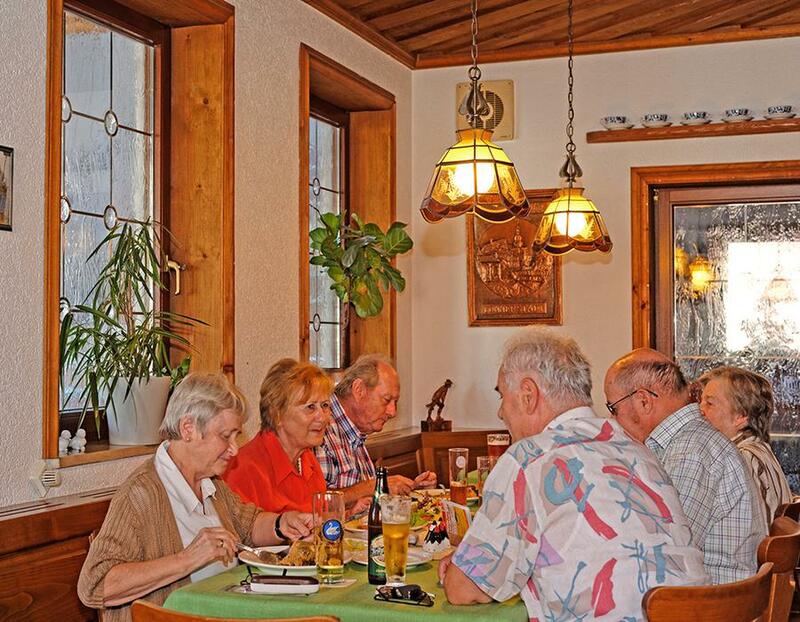 These long established beers can, of course, be tasted right here on site in our Franconian tavern. 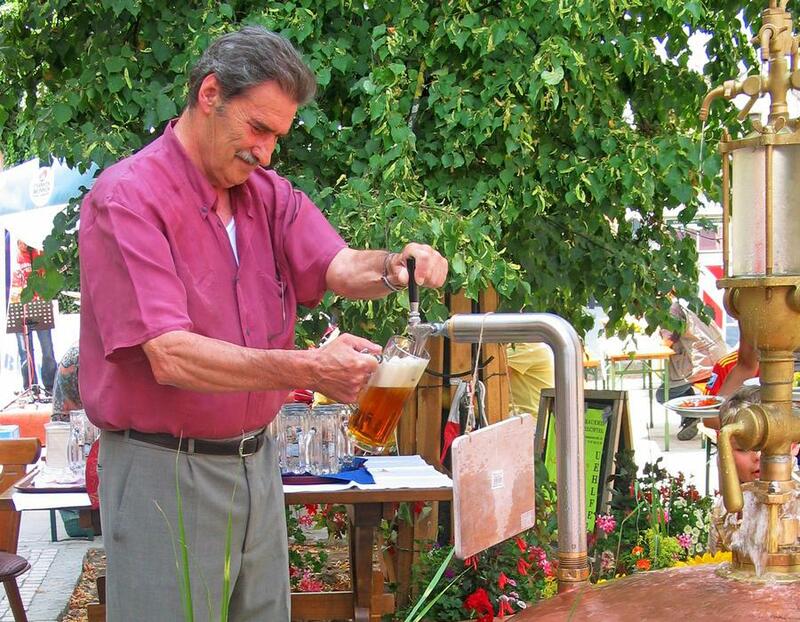 On some specific holiday or beer festival days, we serve some of our beers straight from our beer spring in front of our tavern and you may even pull your own pints! These “Brunnenfeste,” beer spring festivals accompanied by music, take place several times a year (dates and times available on our website). Our fruit brandy made in our own distillery finishes meals off perfectly. The town musicians have their regulars meeting every first Thursday of the month and all sorts of local craftwork events show the cultural aspects that are regularly offered. We are also able to serve as a venue for diverse festivities of various sizes and for events for day-trip takers. Please note also that there is a beer cellar in Voggendorf, directly by the bike path Bamberg-Rothenburg, and only 800 meters from Uehlfeld. When there is good weather between the months of April and September, this is the perfect place to relax with a nice yeast-clouded beer and enjoy a variety of appetizers. 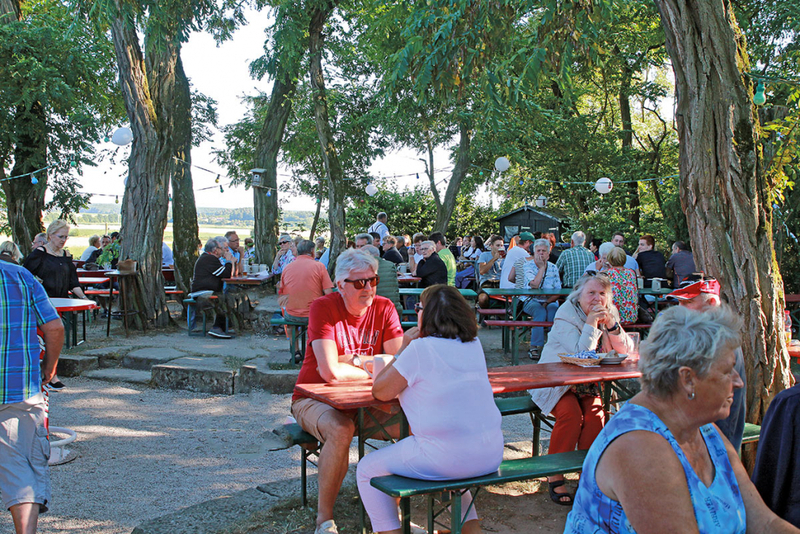 The beautiful view will make your quick break at the Bierkeller in Voggendorf even more pleasurable. Throughout the year we offer a number of different roasts such as sour-, smoked-, and roasted venison just to mention just a few. We also have some wonderful dishes with horseradish. 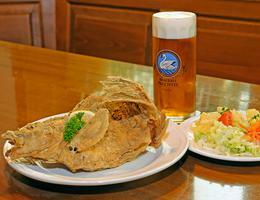 From September until April we serve several dishes featuring Aischgrund-caught carp. Year round specialties: Hopfenstoff (a smooth, bottom fermented full-beer), Schnapperla (a yeasty cellar beer), and the Schmankerl Weiße (a nice wheat beer). Seasonal specialties: Brunnenlump (amber), Vierkorn-Winterbeer (a four grain winter beer), Starkbier (strong beer), Kerwa beer and more.